Home » Russian people » entertainment » For History Lovers, Here Are Russian Medieval Historical Fiction! Every country has a different history. And history is one of the factors that influence culture and ideology in a country. Russia is one country that has a very long history, so this country has become very famous for its history. Stories about Russia’s long history are enshrined in school textbooks. Of course you have studied history and Russia as the main figures in that history, one of which is world war. Russia was a superpower in the past. However, before the Soviet regime, Russia had also passed through the Middle Ages and the Empire. The long history of Russia certainly influences culture, ideology and education in the country. One of them is the influence of various written works. because of its long history, writers often raise fiction and nonfiction stories adopted from Russian history. in fact, until now, fiction about the history of the country is still very developed there. Russian history is always interesting to discuss, especially if you can read it. You feel like what happened at that moment. Fiction writers really do it totally, such as choosing the place, time, atmosphere, character, and plot in the story. So that the message from the story you can understand and feel well. And in this article, we will present some Russian medieval historical fiction specifically for you history lovers! You can make the following fictions as references to find out more about Russia’s long history. you will regret if you miss it. For history lovers, here are 4 russian medieval historical fiction! 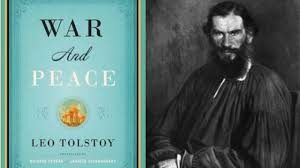 The first Russian medieval historical fiction is War And Peace, the novel by Russian legendary writer Leo Tolstoy. This novel was released in 1865-1867 and is a tetralogy novel. The first book was written by Leo Tolstoy on July 1805 in Saint Petersburg. This 1,225-page novel is considered the central work of world literature and one of Leo Tolstoy’s best literary achievements. This novel tells the history of the French invasion of Russia and the impact of the Napoleonic era on the Tsarist community through the stories of five Russian noble families. parts of the previous version titled The Year 1805. If you are interested in Napoleon’s invasion of Russia, this book is very interesting fiction. This book is also written in two languages, namely French and Russian. however, Tolstoy does not regard War And Peace as a novel, or poetry. He considered this work as a philosophy. The subsequent Russian historical fiction is One Day In The Life of Ivan Denisovich by Russian writer Aleksandr Solzhenitsyn. The first book was published in 1962 in the Soviet Literary Magazine Novy Mir. In addition to a very interesting story, the cover of this novel is also very unique, like a picture of a man bound by razor wire. This novel tells how hard Soviet forced labor was in the 1950s. This story is set in a Soviet labor camp. And this novel describes one day in the lives of ordinary prisoners, Ivan Denisovich Shukov. The day began when Shukov woke up late because he was sick, and he was punished for cleaning the guard house. He continued to be forced to work even though he was sick. And stories of various other atrocities in forced labor camps. The publication of this book is something extraordinary in soviet literary history. Because there has never been a story about the Stalinist oppression that was publicly distributed. The characters in this novel are Ivan Denisovich Shukov as the protagonist, Alyoshka, a baptist, and Gopchik, a young member of the squad who works hard. The House of The Dead is a Russian historical fiction novel by Fyodor Dostoevsky. This historical fiction novel was published in 1860-1862 with 368 pages. This novel describes the lives of prisoners in the siberian forced labor camp. This novel is a fiction inspired by the true story of the author. Dostoevsky himself spent four years in the siberian prison camp. So that he could describe the harsh lives of the prisoners in prison camps. This novel tells the story of Aleksandr Petrovich who was sentenced to deportation to Siberia for killing his wife. Life in prison is very difficult for him. Gradually he succeeded in overcoming the situation with his fellow prisoners, they underwent a spiritual awakening which led to his release from the camp. In this novel, Dostoevsky describes prisoners who sympathize with their suffering and also express admiration for their energy, ingenuity and talent. he concluded that the existence of prisons, with absurd practices and cruel physical punishment was a tragic fact for prisoners and Russians. The main character of this novel is Aleksandr Petrovich and his fellow prisoners. Inmates in this novel are people whom the author met when he was in prison for four years. A very unique story, right? The last is a novel by Nikolai Gogol Taras Bulba. This novel is a historical genre with 176 pages. Taras Bulba was published in 1835. The novel is about the old Ukrainian Cossack, Taras Bulba. And his two sons, Andriy and Ostap. Taras’s son studied at the Kyiv Academy and returned home. These three people traveled to Zaporizhian Sich to join other Cossacks and fight against Poland. The story in this novel was resurrected in 1924. This story forms the basis of an opera, Taras Bulba by Ukrainian composer Mykola Lysenko. First performed in 1924 after 12 years the composer died. The opera libretto was written by Mykhailo Starytsky, cousin of the composer. For history lovers, those are 4 russian medieval historical fiction! You have to read it and know what life was in medieval times. besides, you will certainly be able to find the development of themes from Russian literature from year to year. In medieval times, fiction novels almost always tell about the hard life and struggle of the characters. Of course, the story will inspire.